James Harden reminded everyone why he won the NBA MVP last season. The 29-year-old guard posted his NBA record fourth 50-point triple-double with 50 points, 11 assists and 10 rebounds in a 126-111 win over the Lakers on Thursday. The Rockets are 13-14 on the season and in 13th in the Western Conference, but are 2-0 against LeBron James’ Lakers (17-11) this season. 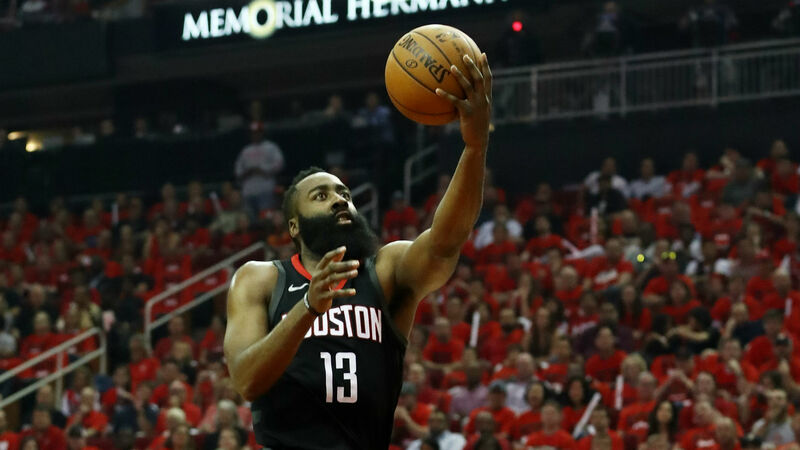 “We’re in a hole right now, you look at the standings and we’re in the (13th) spot and it’s kind of depressing,” Harden told TNT after the game. “But we’ve got to figure it out. Houston has now won back-to-back games over probable playoff teams in the Lakers and Trail Blazers. It handed Los Angeles just its second loss in the last eight games. James scored a team-high 29 points with five rebounds and four assists in the loss. Lakers forward Kyle Kuzma had 24 points, five assists and three rebounds in the loss to the Rockets. Spurs forward LaMarcus Aldridge scored 27 points on 12-of-14 shooting in a 125-87 win over the Clippers. Lakers guard Kentavious Caldwell-Pope had trouble shooting the ball as he went one of six from beyond the arc while scoring eight points. Rockets forward Danuel House Jr. threw one down on the fast break. Dirk Nowitzki set an NBA record by playing in Thursday’s game against the Suns. He has now played in more seasons with one team (21) than any player in history. He also knocked down the first shot he took in typical Dirk fashion. Pacers (18-10) at 76ers (19-10) 7:30 p.m. ET — The No. 4 and No. 3 teams in the Eastern Conference, respectively, match up Friday in Philadelphia. The Pacers just got star guard Victor Oladipo back from injury while the 76ers are coming off of a tough loss in overtime to the Nets.